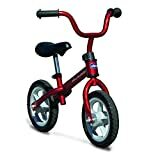 If you’re looking for the best balance training bike for your child, Chicco Red Bullet Balance Training Bike is one of the best choices available right now. Not only does it look like a real bike, but it also feels like it. The frame is sturdy and durable, so it won’t break easily. In spite of that, it also manages to be rather lightweight without compromising on the durability. As a matter of fact, it only weighs as little as 5.5 pounds, which means your kids will be able to move it around with ease. The bike tends to be very easy to assemble. You should be able to accomplish the task in 15 minutes or less. Resistant tires No matter what kind of abuse they go through, the tires simply won’t go flat at any time. The reason behind it is that they’re made of foam, which also means that you won’t have to maintain them. The tires are designed in such a way that there’s minimal chance of something getting stuck between them, so you don’t need to worry. Depending on the size of your kids, the seat can be adjusted accordingly. This means that the Red Bullet best balance bike for toddlers will be able to serve them for years to come. The minimum height is 34 cm and the maximum is 44 cm. Because kids can be very sensitive to touch, the seat was designed with the highest comfortability standards in mind. It’s covered with soft materials and won’t start bothering you even after sitting on it for hours. The bike is easy to handle even for the youngest of users. The handle-grips have plenty of rubber on them, which makes them quite comfortable and easy on the hands. Because the tires are made from softer materials, they won’t damage the floor if you decide to let your kids use it inside your home. If the bike has been used outdoors before, you only need to wipe them a little bit so the dirt won’t be spread around, and you’re good to go. Because of how lightweight and small the entry level bike is, it’s really easy to carry around. You can even place it in your car’s trunk and it won’t take up too much space. It’s hard to find a better alternative in this price range. 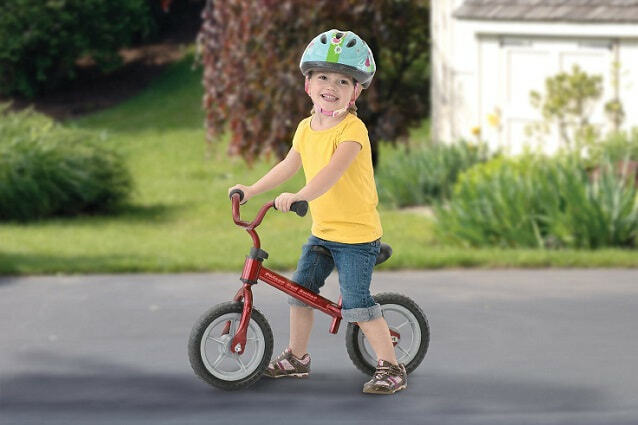 Since the bike is so visually appealing, it’s bound to capture your kid’s attention. Although it has some minor drawbacks, it doesn’t really have any major flaws. The features virtually speak for themselves, so considering everything we’ve gone through in this review, this bike gets easy to Highly recommended!